Plant a tree in memory of Gerald "Jerry"
Jerry passed away peacefully on the morning of Friday, March 29, 2019 at the Mid-Michigan Hospital Center in Midland after a very brief bout with cancer. Jerry was 81 years old. Jerry is survived by his wife, Yoshie of Midland, son Jeff and daughter-in-law Amy of Oakland, CA, and daughter Marie Catenacci and son-in-law Eric of Highland, MI. He is also survived by his sister Margaret Bailey of Saginaw and brother Raymond Ziarno of Lansing as well as niece Lynne Caldwell of Milford, CT, and nephews Gregory Bailey of San Rafael, CA and Matthew Bailey of Lewisburg, PA as well as their children. Jerry was born on August 10, 1937 in Saginaw, MI to parents John and Isabelle (Bouza) Ziarno. 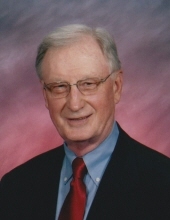 After graduating from Holy Rosary High School in Saginaw, he attended Michigan Technological University on an Air Force ROTC scholarship and received a BS in Electrical Engineering in 1959. He was posted to Japan by the U.S. Air Force and became a 1st Lieutenant. It was while stationed in Tokyo he met Yoshie whom he married in 1964. By that time he was already employed by Midland’s Dow Corning Corporation where he would work for the next 34 years, retiring in 1996 as Vice President of Sales and Marketing. Jerry completed his Masters Degree in International Business from Tokyo’s Sophia University and Dow Corning sent him to Stanford University for an Executive Business Program. While for most of his career at Dow Corning Jerry was based in Midland, his work also took the family to Brussels, Tokyo and Hong Kong. Among his many interests, Jerry was an avid bird-watcher. After retirement, this hobby continued to take him around the world. Jerry was on the board of directors of the American Birding Association and was co-editor of the ABA published “A Birder’s Guide to Michigan.” His love of birds, wildlife, and nature also led him to serve for periods on the boards of directors for the Chippewa Nature Center, Whitefish Point Bird Observatory, and the Little Forks Conservancy. Jerry was an active alumnus and fundraiser for his Alma Mater and served on the board of directors for the Michigan Tech Fund. The Funeral Liturgy will take place at 11 am, Wednesday, April 3, 2019 at Blessed Sacrament Catholic Church. 3109 Swede Avenue. Father Kevin Maksym will officiate with burial in St. Stanislaus Cemetery, Bay City. Jerry’s family will receive friends at the Ware Smith Woolever Funeral Home, 1200 W. Wheeler Street on Tuesday from 4-8 pm and at the church on Wednesday from 10 am until time of services. A family service of remembrance will take place at the funeral home at 7 pm, Tuesday. Memorials may be made to the Gerald J. Ziarno Endowed Scholarship at Michigan Technological University or to the donor’s favorite charity. To plant a tree in memory of Gerald "Jerry" J. Ziarno, please visit our Tribute Store. "Email Address" would like to share the life celebration of Gerald "Jerry" J. Ziarno. Click on the "link" to go to share a favorite memory or leave a condolence message for the family.